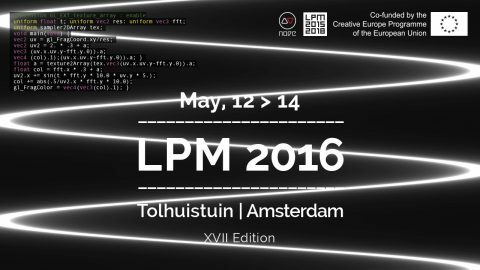 The seventeenth edition of LPM Live Performers Meeting begins on May 12,2016 in Amsterdam, in the spaces of Tolhuistuin, in the renewed and vibrant district of Amsterdam-Noord. The website of LPM XVII Edition is now on-line and starting from today. Send us your best project or performance and join the most important event on LIVE VIDEO worldwide!